The Sholay village will bring alive the characters through 3D printing and Virtual Reality technology. Bengaluru: It's been almost 42 years since Ramesh Sippy's directorial, Sholay, one of Hindi cinema's most-loved cult classics, hit the screens and immediately became a blockbuster. The film's extraordinary journey overwhelmed Mr Sippy so much that he said even he can't attempt to make it again. 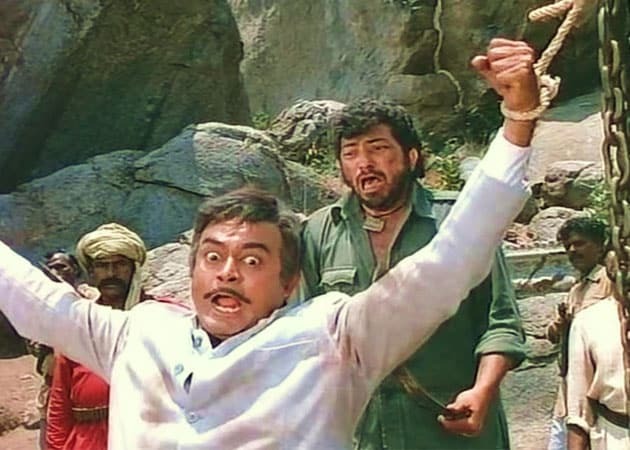 But the Karnataka government is trying to recreate the magic of Sholay through a 3D village in the rocky terrain of Ramanagaram, 50 km from Bengaluru, where the film was shot. The virtual village will bring alive the trailblazing characters through 3D printing and Virtual Reality (VR) technology. The Rs 7.5 crore-project to establish the village for cine lovers at Ramadevara Betta, that was popularly known as Ramgad in the film, may face objection from the forest department as the area surrounding the proposed site is a protected zone and part of the vulture sanctuary. The project could affect wildlife conservation, a senior official said. "Nothing has come to me yet. We don't know where exactly and what exactly they are planning to do. Our DFO (Divisional Forest Officer) will update us on the project. After that, we will take a call. If there is anything that is not in the interest of wildlife conservation or vulture sanctuary, we will object," Principal Chief Conservator of Forests (Wild life) KS Sugara told PTI. Karnataka Tourism Minister Priyank Kharge also said that the state government has to evaluate the entire proposal. He is confident that the village will attract visitors but added that some locales that fall into the vulture reserve zone like Gabbar's hideout, Thakur's haveli and the rocky terrain among others will have to be recreated outside the prohibited area, if the project is implemented. Ramanagaram is a paradise for trekking, rock climbing and photo shooting. There are seven hills within the radius of 10km, including Ramadevar Betta, where Gabbar Singh's iconic scenes were picturised.